A light fluffy cake with a delicious crumble texture from the almond meal. You can use any berries you like. this would be a fancy lunchbox treat! yours turned out great! thank you for posting this idea. it would be a true winner! Marvellous little morsels – thanks for sharing. Really like your recipe and plan to make it once I have the ingredients. Thanks. 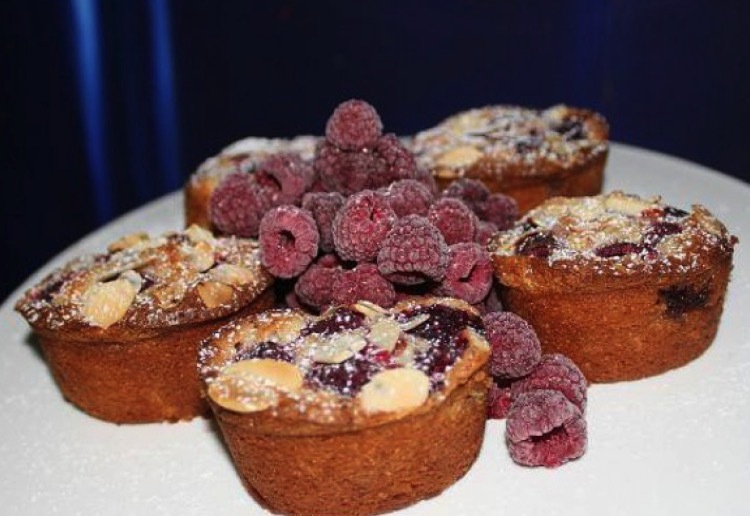 These little raspberry friands look delicious and perfect to share, thanks. Your raspberry friands are amazing,love your recipe! look lovely. I would add a handful of white chocolate drops as I love chocolate and raspberry! What a wonderfully wicked suggestion – divine! Beautiful looking friands – they all look perfectly formed and decorated – well done! OMG you can come around for morning or afternoon tea to my place any time as long as you bring a sweet treat.